My courses at UCSC are coming to an end. 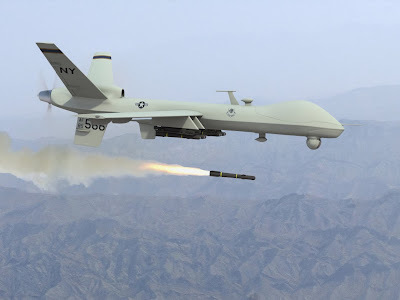 In one of them, Introduction to the Legal Process, I had the students read an article about drone warfare, published in The Atlantic, and available online: The Killing Machines: How To Think About Drones. The article illuminates the changing nature of "war," as American technology pushes to innovate. Traditional concepts of war envision armies meeting on a battlefield, somewhere, and fighting. In the midst of such a fight, each side uses whatever weapons it can, to kill those on the other side, but each side puts itself in mutual danger of death as a part of this process. In drone "warfare," a person sitting in a comfortable office in Washington, D.C. exterminates a family by remote control. Those killed never see it coming, and there is certainly no way for them to fight back. As for the guy in the office building, no danger there! Supposedly, America's innovative move to drone warfare is a a way to minimize loss of life, but if the use of drones to execute people is justified by its relationship to a "war" (a "war on terror," presumably), it seems obvious that the only way for the other side to be engaged in the war, too, is for that side to find ways to kill their opponents (Americans) by stealth and without warning. Hence: the Boston Marathon massacre. This is what "drone warfare" means to me: the Boston Marathon massacre. Postscript: In searching for an image to accompany this post, I happened on an article by Robert Wright, written in April 2013. He makes pretty much the same point, though from a different perspective, and his article is worth reading. Drones are not meant to minimize loss of life. They are meant to minimize loss of life to pilots and non-targets. There's no question they does both. Linking the Boston Bombing to US drone policy in a blog post ironically misses the point. The Tsarnaev brothers were "self-radicalized" on anti-American websites, where emotional appeal trumps rational argument. There is plenty of that on the web already, Gary, please don't add to it. Oh, my argument is nothing but rational! More drone bombings by the US in other countries will equal more persons "self-radicalizing," to use your descriptor, and thus more bombing incidents in the United States. That's my belief. The issue isn't more vs. less *bombings*. It's drone technology vs. conventional aircraft. I agree that bombing people less is good foreign policy. Duh. I disagree that it's rational to blame drone technology for the Boston Bombing. Talk all you want about your beliefs and what things mean to you. That's not an argument. You just put the word "hence" after a description of modern war, like the phenomena of impersonal combat is unique to drone technology. It isn't. The same could be said about the rifle scope and missile. I don't think you believe we should go back to fighting with muskets. I think you've conflated "drone" with "assassination". Without drones, there would still be targets to kill. Only an American pilot's life would be needlessly in danger. I think you also have the arrow of causality backwards. 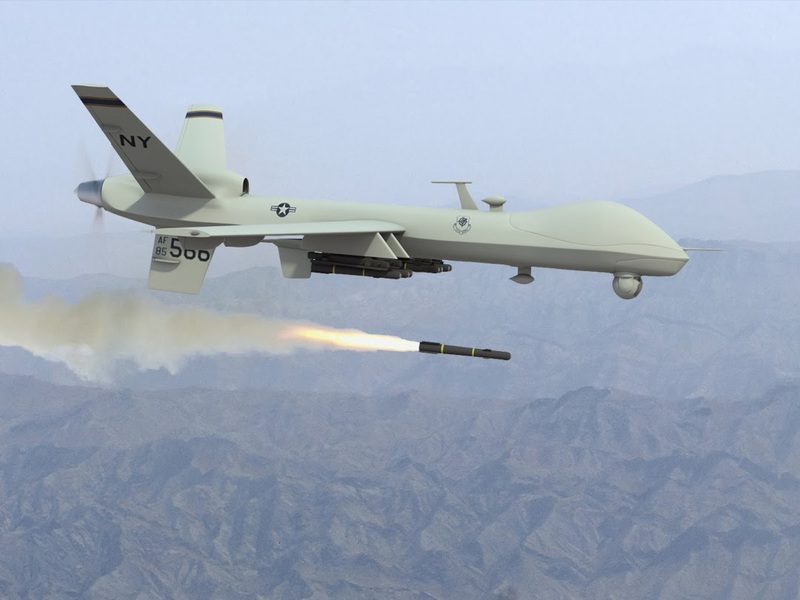 Reaper and Predator drones were developed before 9/11, but weren't operated abroad until about 2007. Blaming Islamic extremists' bombings on drone technology puts the 2007 cart before the 2001 horse.